Sewing Machine with a table to provide a flat surface and support for rulers. Manual for your sewing machine. You may need to look something up. Thread: Use your preferred thread for free motion quilting. Your top and bottom thread do not have to be the same. Polyester thread is stronger than cotton thread and will break less. Needle: Size 12 or 14, bring both. There may be more tension on your thread so alarger needle than usual can be helpful. Westalee Ruler Foot Starter Set. Including 12” arc template (ruler) with stable tape and spacing gauge. If your machine has a specific ruler foot that will be okay. 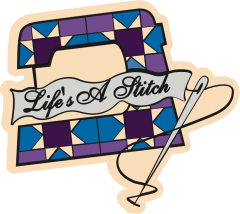 Please put your ruler foot on your machine and balance your tension for free motion stitching. If you have difficulty, do your best and keep trying. You may need to lower the tension on the bobbin. Help can be given in class but it will delay working with the ruler. Please bring additional small quilt sandwiches to test your tension on. Ruler for measuring and marking as needed. Marker of your choice, blue marker,frixion pens, chalk etc. Please prepare the following quilt sandwiches for each week. Solid/plain fabric works well so you can see your markings and stitches. Alternatively, use the wrong side of your fabric or light fabric and dark thread. Cut size is the size of fabric and batting. is easier to mark before it is sandwiched. Extra quilt sandwiches are good to have with you just in case. *See additional marking instructions for 15” cut block on next page. These grids represent pieced blocks and borders. We will work on the following block designs in class that use the 12” arc template, either with the straight edge or the curved edge. 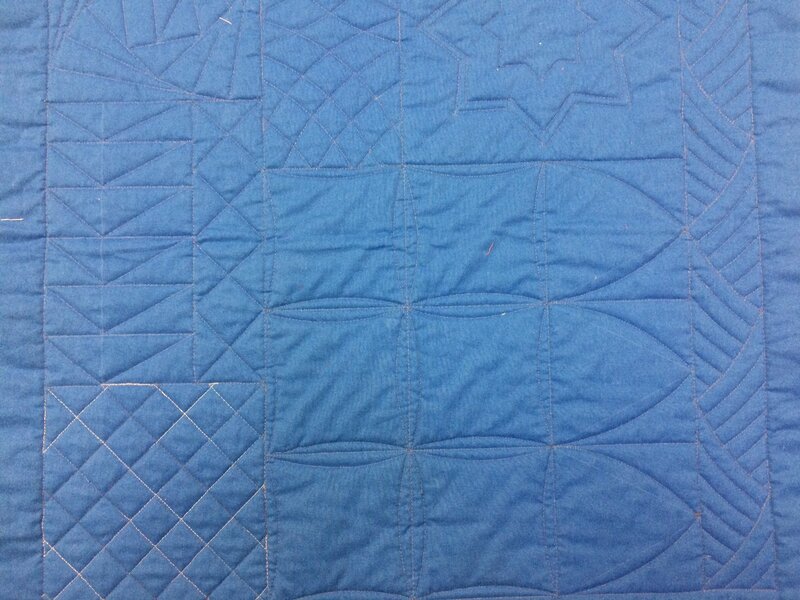 Samples of various quilting designs will be shown at class. Internet resource links will be provided for each lesson as well. In between classes you can/should work on a sampler to practice the blocks and your technique. A diagram showing placement will be provided at class. Please contact me if you have any questions. I’m happy to clarify any instructions or help with tension problems if needed.